Each topic had activities such as Discussions, quizz and or peer activity. The organiser – Andy Nobes, facilitator – Ravi Murugesan and guest facilitators, made the course quite interesting. 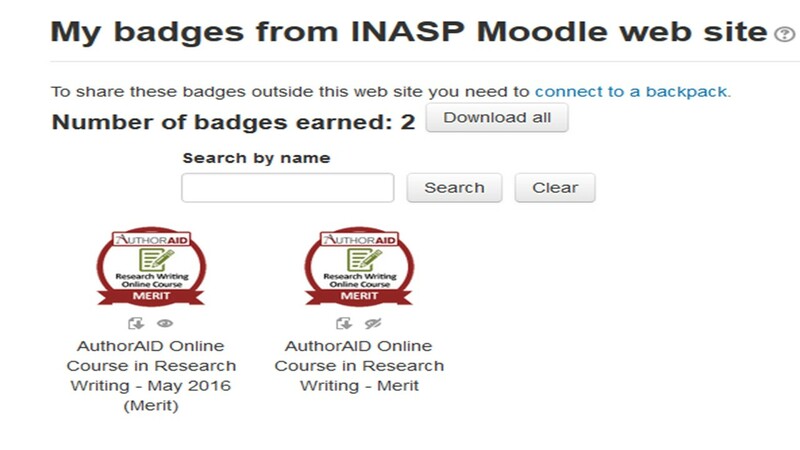 At the end of the courses, I got Merit grades and digital badges (see attachments). 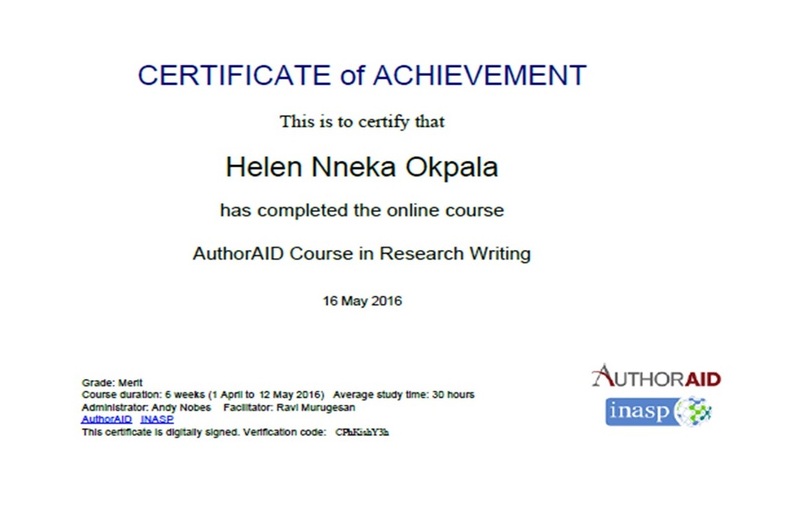 I would want to say a BIG THANK YOU to AUTHORAID and INASP for this great opportunity and I hope to find a greater opportunity to impact this same knowledge and experience on researchers in my community. 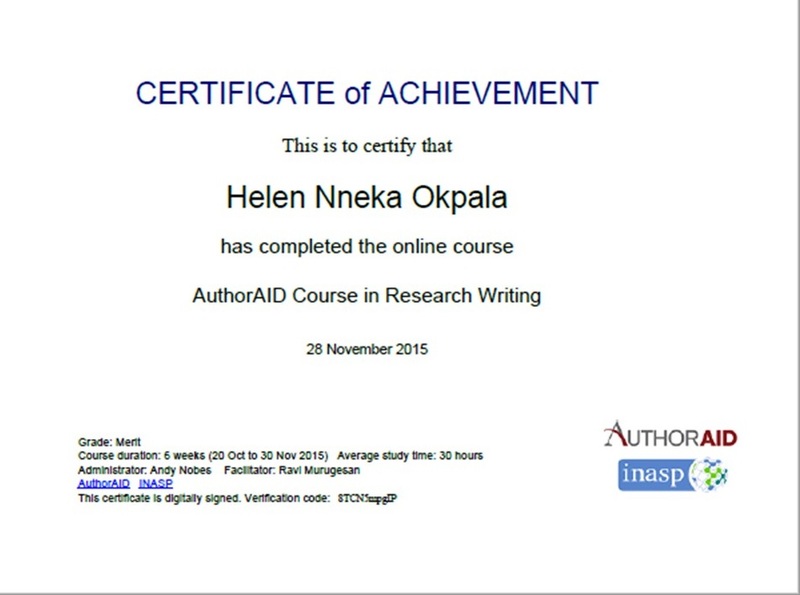 I hereby encourage people interested in research to get connected with AUTHORAID/INASP for mentoring opportunities, funding and grants, training resources, latest news, etc.